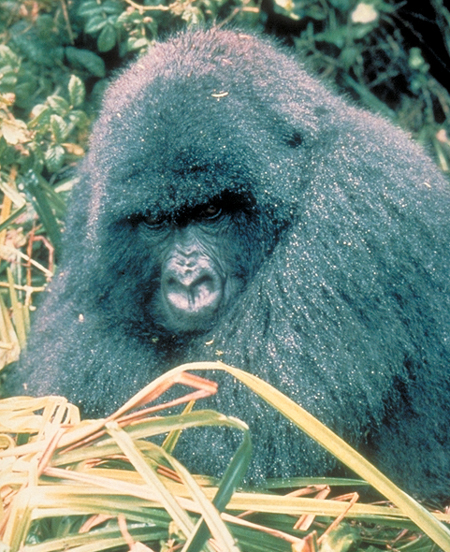 The Eastern Gorilla as a species occupies the lowland and mountain rainforests and subalpines forests of eastern Congo and southwestern Uganda, and Rwanda. They prefer these areas due to the heavy vegetation that they can eat and use for nests. 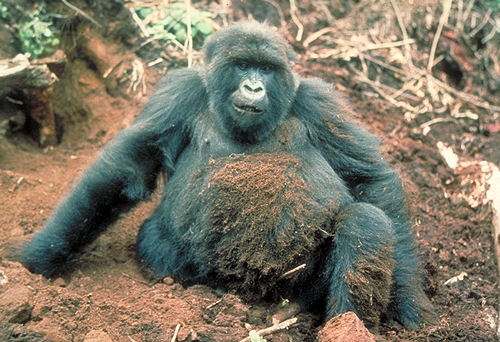 Gorillas build nests every night out of the surrounding vegetation. The Eastern Lowland Gorilla can be found in the Eastern Democratic Republic of Congo. There they live in the highland, bamboo, lowland, and Albertine Rift montane forests. This range stretches about 12,000 square kilometers and can be anywhere from 600 to 3,308 meters high. It’s believed that they only occupy about 13% of their range. The Mountain Gorilla stays at much higher elevations ranging from 2,300 to 4,500 meters. These creatures can be found living on the Virunga range of extinct volcanoes along the borders of Rwanda, Uganda, and the Congo. These forests are cloudy and misty but the population of about 700 gorillas can be mostly found on the 3 dominant volcanoes: Karisimbi, Mikeno, and Visoke. The Bwindi Gorillas can be found near the Mountain Gorillas. This small subspecies of about 320 can be found in the Bwindi Impenetrable Forest in southwestern Uganda on Congo’s border. This is a national park that houses the entire population of Bwindi Gorillas at 1,500 to 2,300 meters.